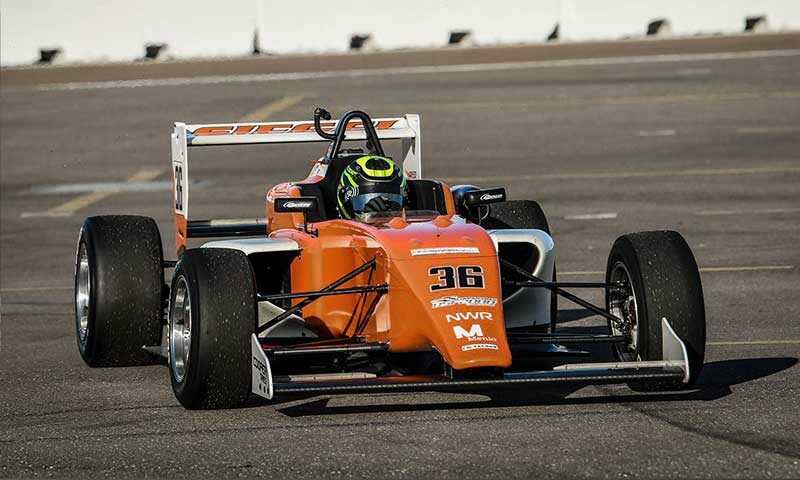 SAINT PETERSBURG, FL (March 19, 2019) – Newman Wachs Racing kicked off the 2019 season on the March 7-10 weekend on the challenging 1.8-mile street circuit of the Grand Prix of St. Petersburg, taking on the Cooper Tires USF2000 Championship, the first rung of the Road to Indy Presented by Cooper Tires. 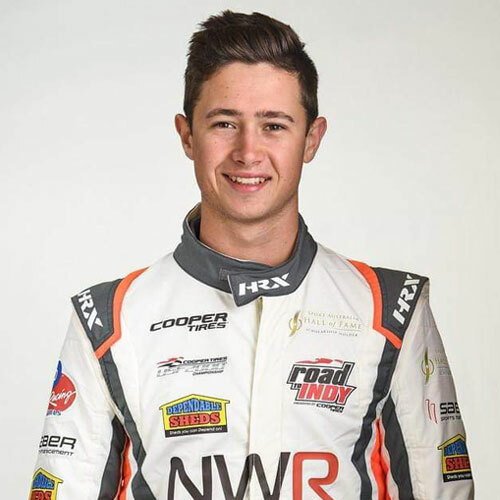 Australian Cameron Shields and American Nolan Siegel are both rookies in this series this year, and the NWR crew provided them with the equipment and support to log crucial on-track experience ahead of the remainder of the 2019 schedule. Shields showed impressive speed but ran into a pair of issues in the races to finish 11th and 18th in the doubleheader main events, while the 14-year-old Siegel delivered an ideal set of performances, keeping the nose of his Tatuus USF-17 clean to finish every lap with a top result of 12th in Race 2. 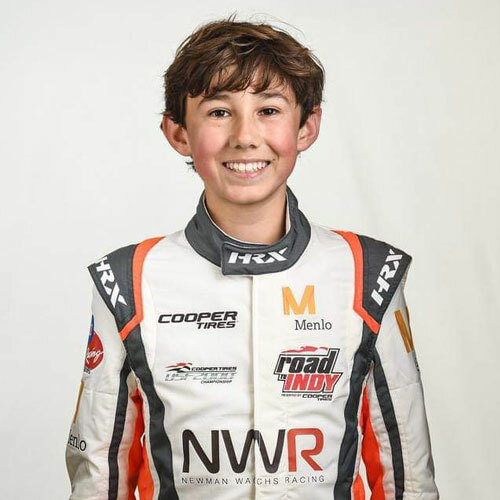 The USF2000 series took to the track on Thursday and it was a busy day for Siegel and Shields – an 18-year-old Australian with a stout resume – as they had media guide photo shoots, a driver’s meeting, the important track walk, and their one and only practice session. All of this was followed by qualifying for Race 1. Both drivers took to the track for practice, setting some solid lap times and keeping both cars clean. Qualifying got a bit interesting as it was riddled with red flags, which kept anyone from getting more than one to two clean laps. Unfortunately, Shields brushed the wall late in the session, which led to only one clean lap, while Siegel kept his car clean and managed a great starting spot in such a stacked field. Siegel was 13th on the timesheet, while Shields was 18th, hampered by the contact with the wall. Friday started bright and early with Race 2 qualifying. Both drivers’ lap times improved, but so did the rest of the field. Cameron was able to keep the car clean and lay down an impressive lap time, while Nolan improved his time but not his starting position. The streets of St. Petersburg tend to lend itself to some wild starts and Race 1’s opening run into Turn 1 did not disappoint. After a crazy turn one crash and cars being out-of-order, the field was called in for repositioning. After the restart, Shields did a fantastic job picking off car after car, making up an impressive eight spots to score an 11th place finish. Siegel once again showed his maturity, steering his way through all the carnage and a tough street circuit, landing him in the 14thposition. Saturday’s Race 2 finally saw a clean start and throughout the race, Shields was battling his way forward, but another brush of the wall forced him to come in for repairs, which resulted in a 16th place. Nolan again did everything he was asked to do. The Californian avoided all the chaos, keeping his car in mint condition and giving himself his best result of the weekend with a 12th place finish. Newman Wachs Racing will now head to the iconic Indianapolis Motor Speedway for the INDYCAR Grand Prix on May 9 – 11, where Shields and Siegel will get a taste of a purpose built road course. The IMS speedway road course is a 14 turn, 2.439 miles track.